Silvertips Join the HWAA Celebration! 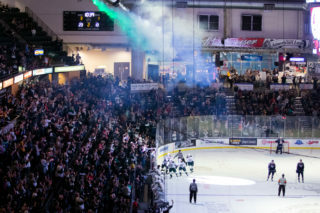 As the Silvertips host to the Tri-City Americans Friday at 7:35 pm in another televised game on ROOT Sports Northwest, we’re also joining USA Hockey in celebrating “Hockey Weekend Across America” 2014. We’re hosting a special social media promotion leading up to Friday’s game and offering a great discounted ticket deal as well as the ‘Tips face-off against the Americans. Hockey Weekend Across America starts Friday with “wear your jersey day” and we want to see your support for the game of hockey while giving you the chance to win an awesome Silvertips prize pack! Snap a photo of yourself wearing your favorite hockey jersey or otherwise showing your love for the game at work on Friday. 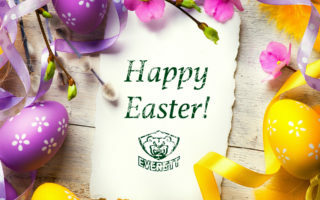 Then post the picture on our Facebook page or tweet it to @WHLSilvertips by noon along with the name and address of your local workplace. 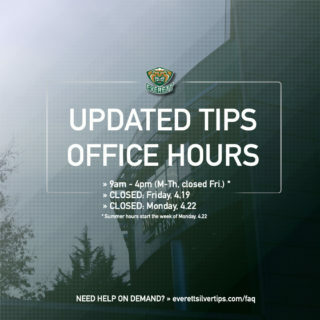 From all the submitted photos, we’ll randomly select three winners and make a surprise visit to your workplace between 1-5 pm to deliver a prize pack featuring a Silvertips jersey, tickets to an upcoming game and some other great Silvertips prizes! Eligible places of business must be within 20 miles of Comcast Arena and must be publicly accessible to allow for prize delivery. Winners must submit photos by 12:00 pm on Friday, February 25 and be present at work on Friday afternoon from 1:00 to 5:00 pm to win. To help spread the excitement for Friday’s game, we’re offering a special Hockey Weekend Across America ticket deal. 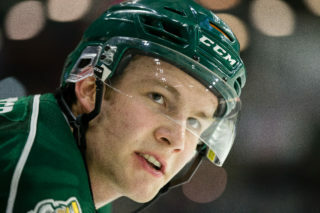 For only $40 you’ll get two of the best available lower-level seats, two free drink vouchers (valid for draft beer, house wine and soft drinks) and the first 200 kids 12 and under to enter Comcast Arena and present their tickets through this special deal will get a FREE Ryan Murray Silvertips mesh shirt. Plus you can add as many additional tickets as you’d like for $20 apiece. CLICK HERE for more information or to buy your seats right away! Before the Silvertips take the ice against the division-rival Tri-City Americans Friday night at 7:35 pm, the first 1,000 fans through the doors will get a full team set of Silvertips 2013-14 trading cards courtesy of Mountain Pacific Bank. We’ll also have a first intermission fan shootout for Washington’s Lottery Night. 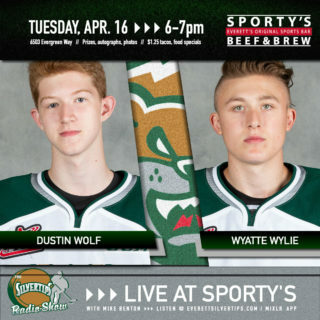 In the spirit of Hockey Weekend Across America and “wear your jersey day,” all fans are encouraged to wear hockey jerseys to Friday’s game to show their enthusiasm for the Silvertips and the great sport of hockey! Although the Silvertips don’t play on Saturday, Hockey Weekend Across America continues with “try hockey day” at the Comcast Community Ice Rink. Starting at 9:30 am on Saturday morning, Everett Youth Hockey is inviting kids to join Silvertips players on the ice to give hockey a try for FREE. Skates and other hockey equipment will be available to try on, so bring the kids and let them step on the ice of the first time until 10:30 am on Saturday! For more information on USA Hockey programs, visit www.USAhockey.com.